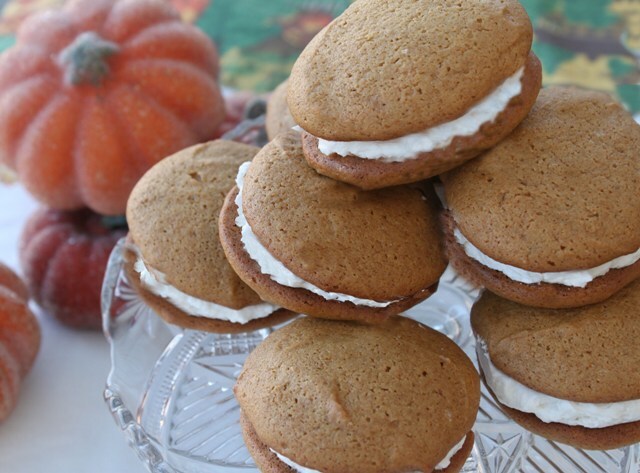 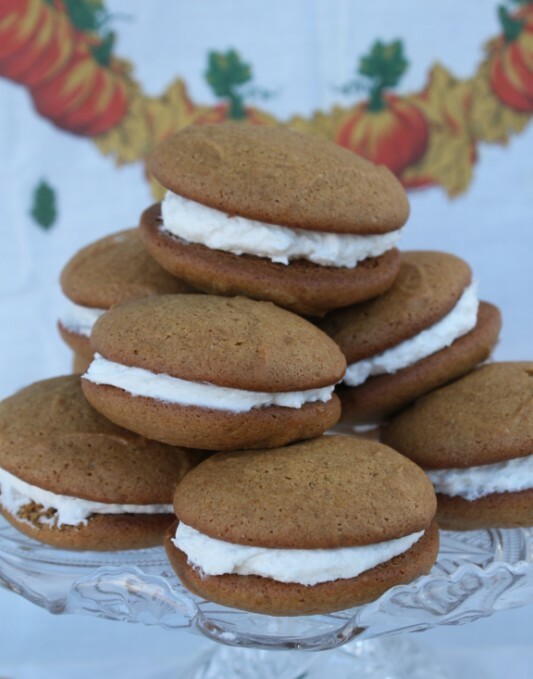 Pumpkin Whoopie Pies | Rosetta Bakes! 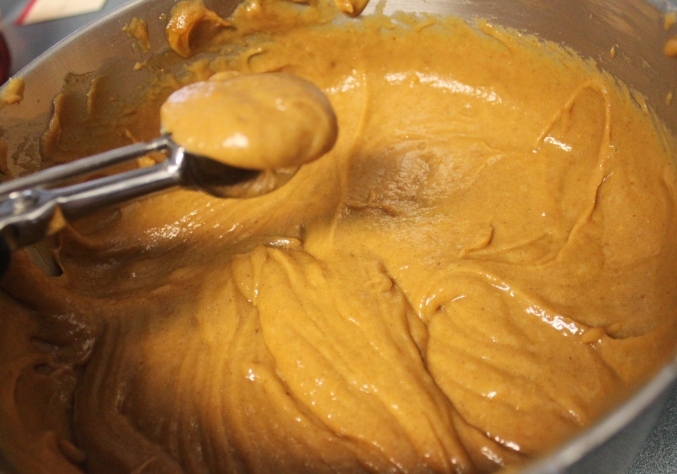 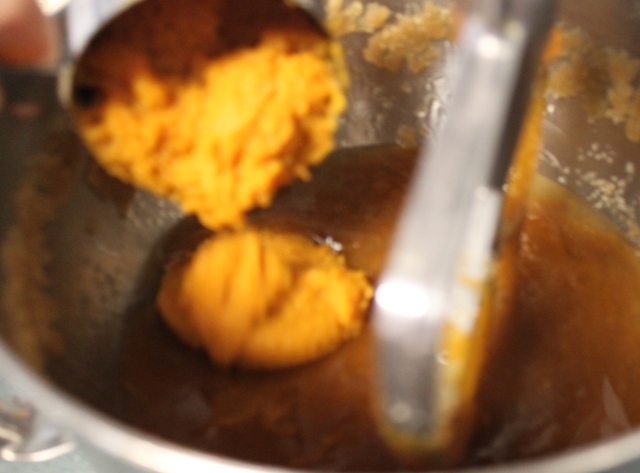 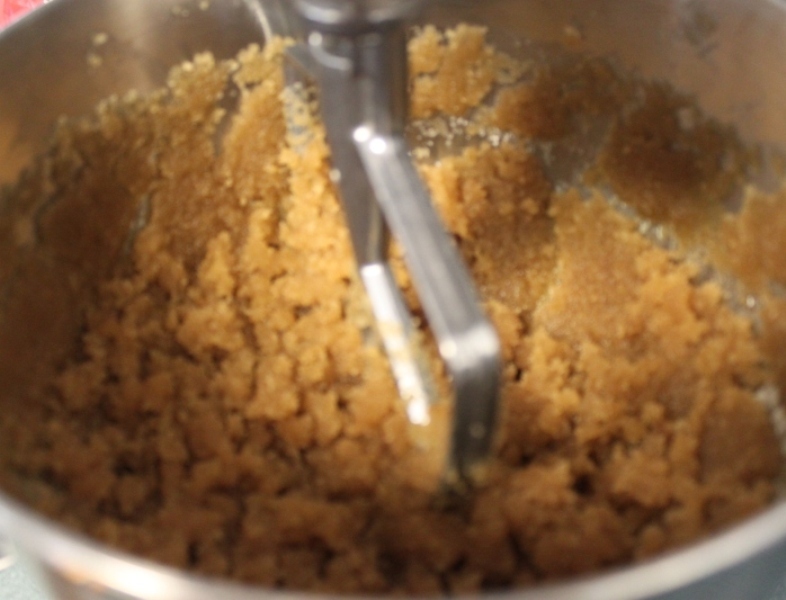 Add pumpkin and eggs, mixing well. 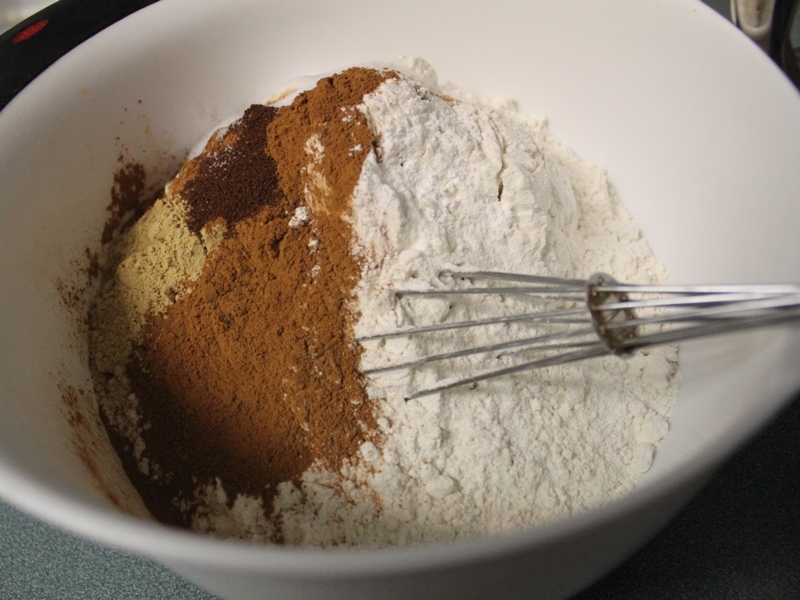 Sift flour with salt, baking powder, soda, spices and vanilla. 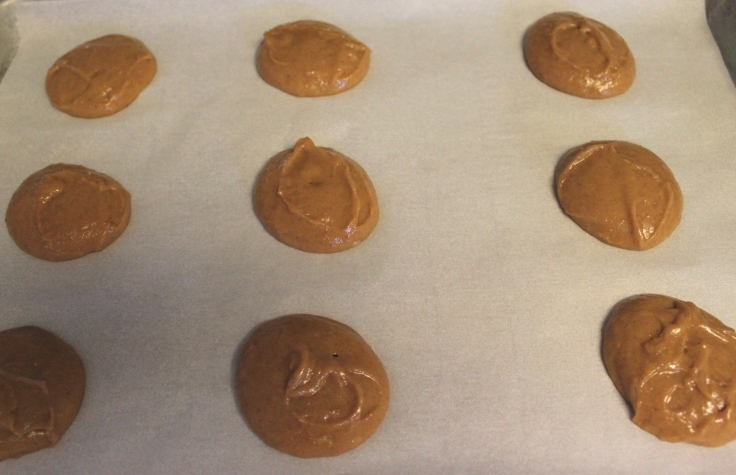 Drop by heaping teaspoons (I use a large cookie scoop rounded) onto a greased cookie sheet or on a cookie sheet with parchment paper. 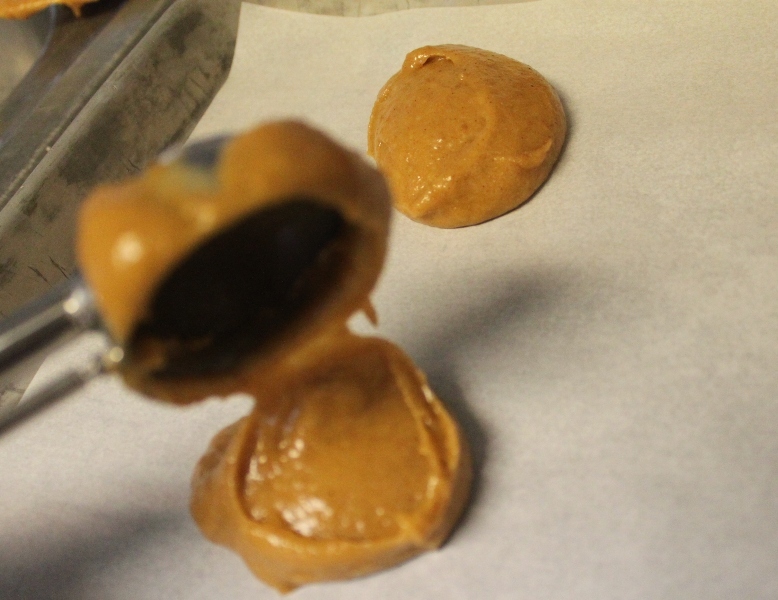 Remove from oven and remove to wire rack to cool. 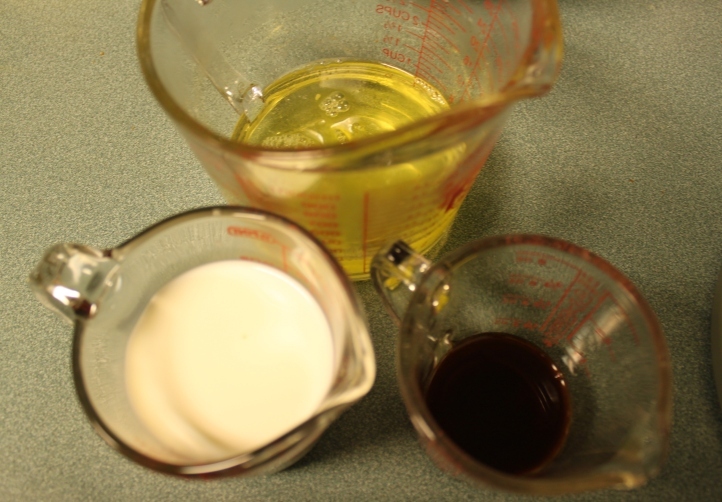 sized together that are most similar. 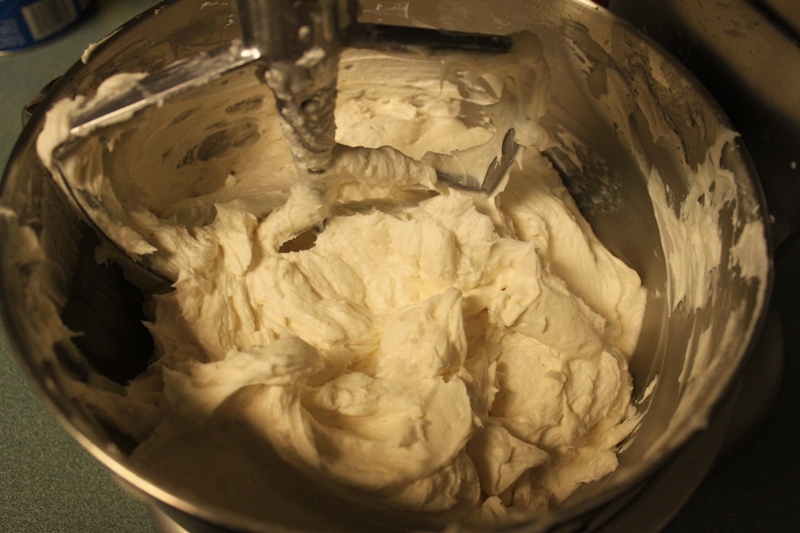 Whoopie Pie Filling . 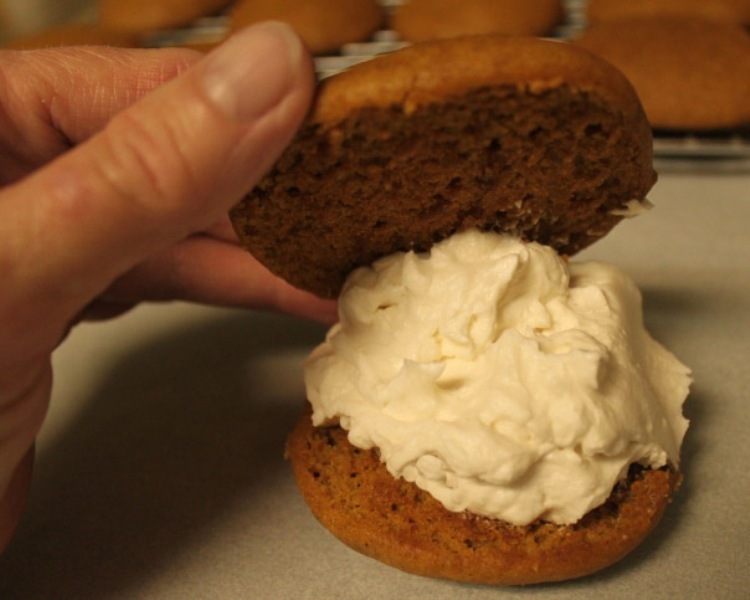 then place the other cookie on top. 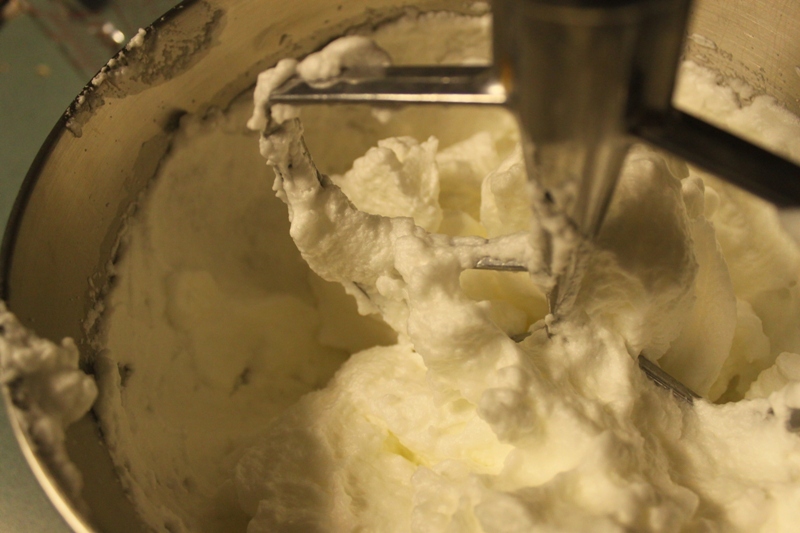 First beat egg whites until stiff. 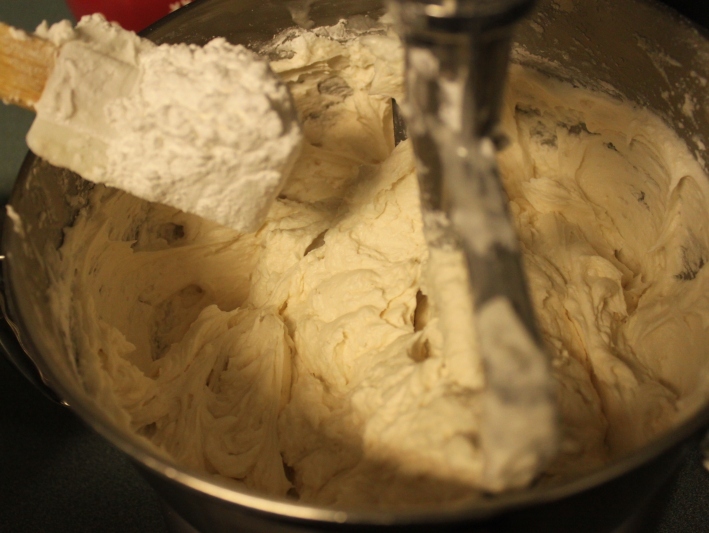 Mix in milk, vanilla and 2 cups of the sifted confectioner sugar. 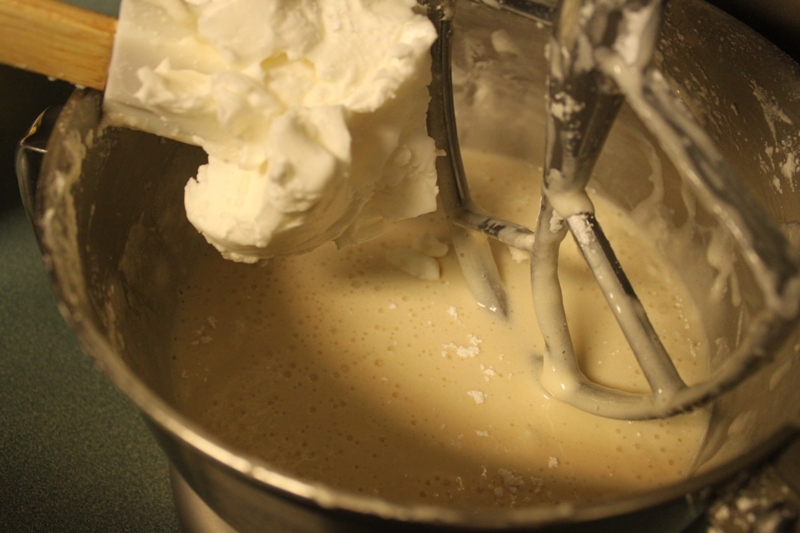 Beat in Crisco and mix well. 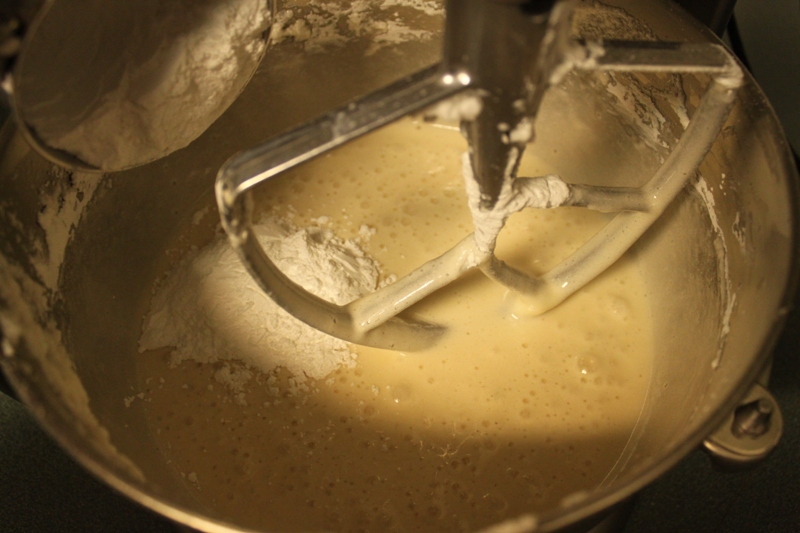 Add remaining 2 cups confectioner sugar and mix well. 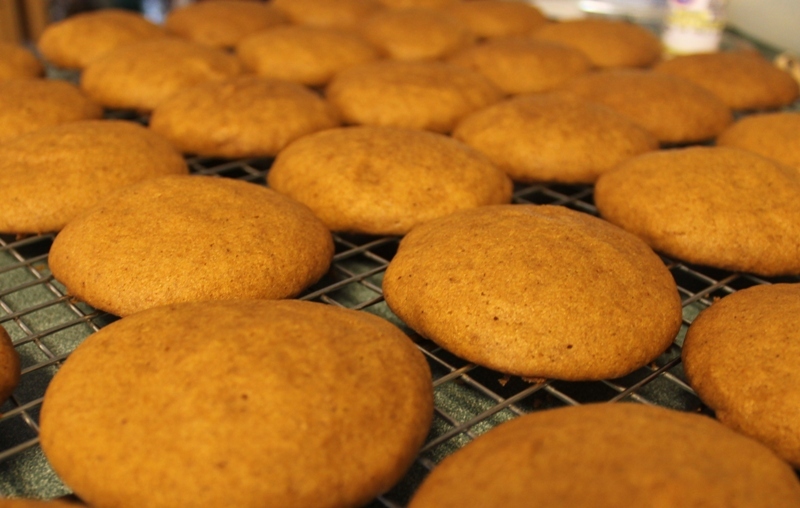 Original Recipe from an Amish Cookbook.